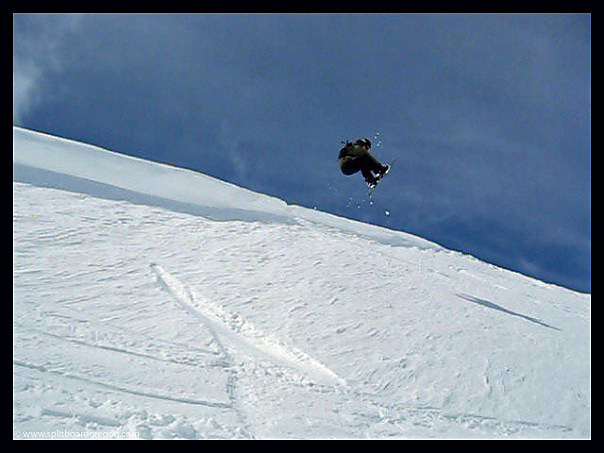 Dropping in above Memorial Bowl, April 2009……..
Andy and I made several weekend trips to Mt Hood Meadows during April 2009, and had a variety of conditions and weather. Most of our time was spent in Heather & Clark Canyons, accessed from the Cascade Lift. 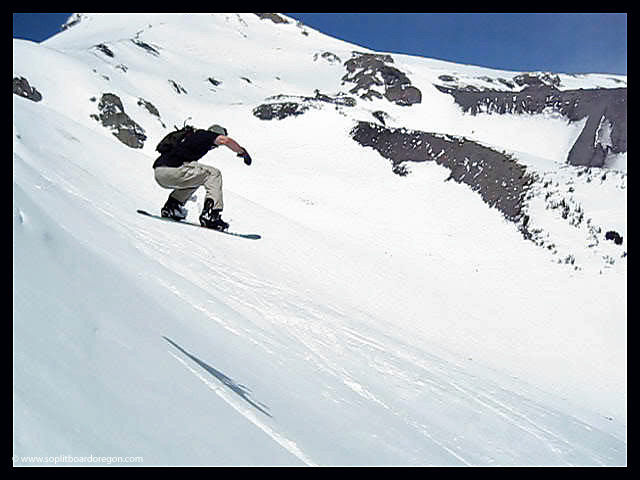 In April, there are generally less people at Meadows, but the riding is still excellent. 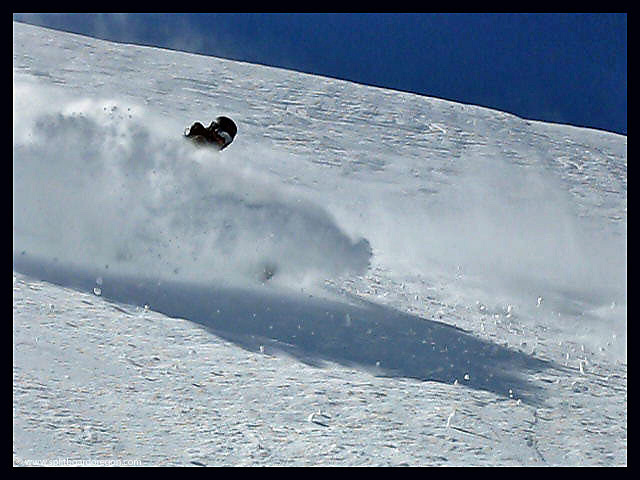 Here’s a shot of me ripping through some wind packed powder in the Silver Bowl in upper Heather Canyon…. Following each ski day, we either had a beer in Govy, or better yet, listened to the live band on the deck at the Meadows base while enjoying a frosty cold one in the sunshine. For lift served in April, it’s hard to beat Mt Hood Meadows!